Fleetwood Mac were forced to postpone a pair of Canadian concerts this week after singer Stevie Nicks came down with an illness. Fans can use their tickets for the pair of cancelled shows when the band returns to perform in Edmonton on April 13 and Calgary on April 15. Finn and Mike Campbell from Tom Petty’s band are the newest additions to the group's lineup for a North American tour following the firing of longtime guitarist Lindsey Buckingham earlier this year. 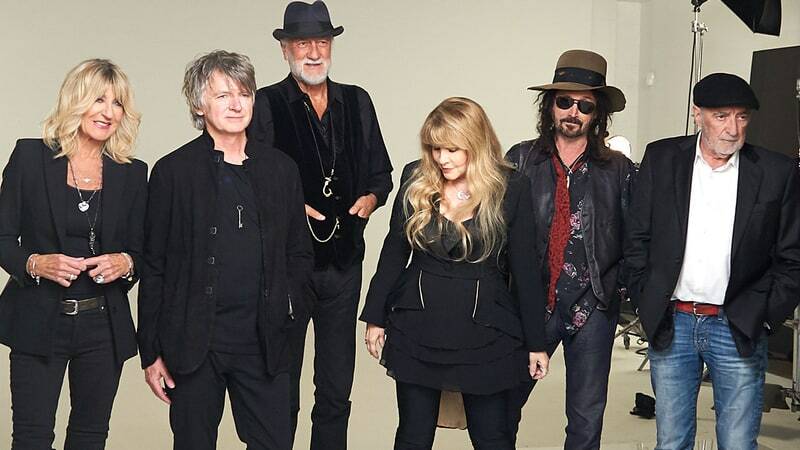 Fleetwood Mac will release their first-ever career-spanning collection, “50 Years – Don’t Stop”, on November 16. The new compilation touches on every era in the group's history while highlighting the work of the many musicians who have recorded under the Fleetwood Mac banner since the group was formed in London, UK in 1967.